Ocean Ramsey is pictured caressing the great white shark believed to be Deep Blue, a 20-foot long female shark more than 50 years old. Divers off the coast of Oahu’s North Shore had the rare treat last week of swimming and frolicking with a great white shark, widely believed to be one of the largest in the world, and the thrilling, inter-species encounter was captured on video. Ocean Ramsey, who independently studies sharks and leads cage-free shark diving tours off the Hawaiian island, was in the water with her team, monitoring a group of tiger sharks feeding on a decomposing sperm whale on Tuesday, when she suddenly spotted Deep Blue, as the 20-foot-long female shark is called. “I waited quietly, patiently, observing as she swam up to the dead sperm whale carcass and then slowly to me,” Ramsey wrote on Instagram. 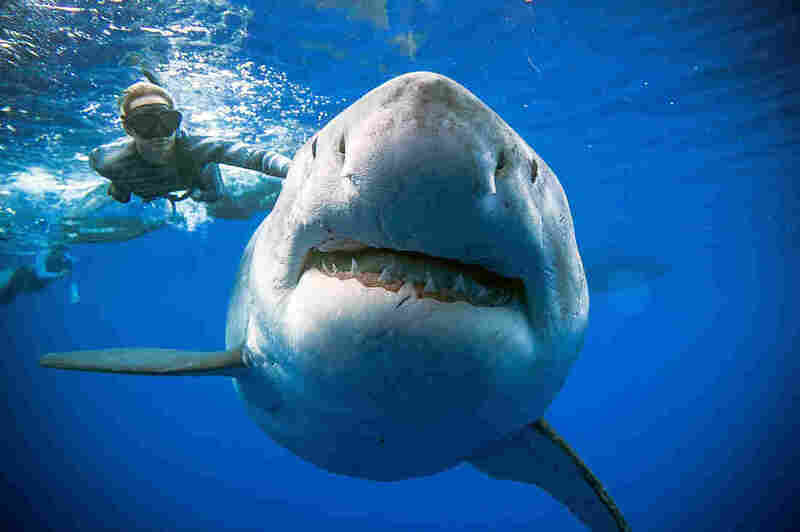 Ramsey urged the public not to try to engage with sharks, regardless of their size. She noted her years of experience and research, reminding the shark-petting hopefuls watching the video that great white sharks are apex predators capable of inflicting grave injury. Great whites “are not the mindless monsters they are portrayed as,” she added in a separate post. But, Ramsey, urged the public not to recklessly jump into shark infested waters regardless of the size of the animals. “They’re capable predators who need and deserve respect,” she said in another Instagram post. Ramsey told the Honolulu Star Advertiser that Deep Blue looks like she may be pregnant. “She’s shockingly wide,” Ramsey observed. 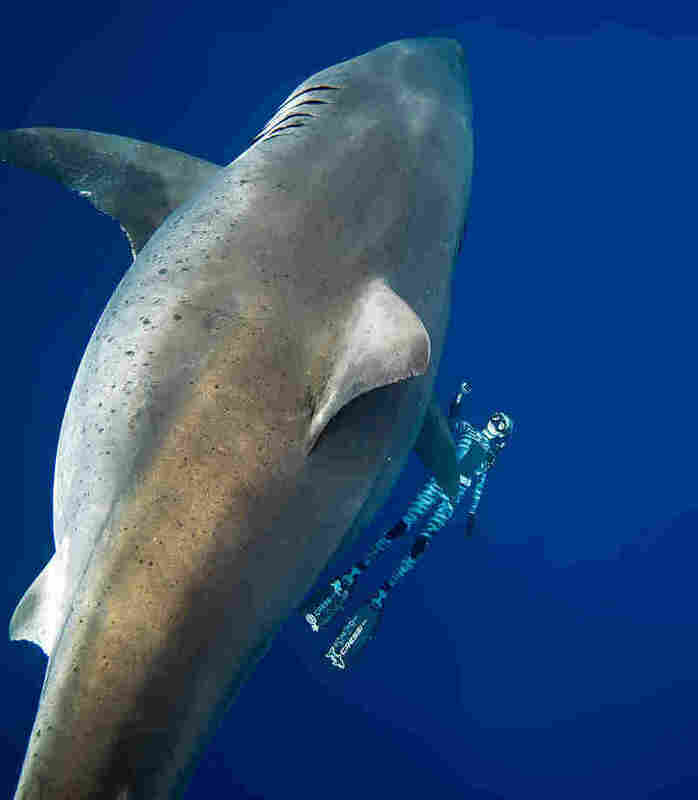 Ramsey observed Deep Blue looked pregnant, which could explain how the great white ended up off the coast of Oahu. Pregnant sharks are known to follow whales across the Pacific. Marine biologists have not definitely identified Deep Blue as the star of the videos, but Chris Lowe, director of the shark lab at California State University of Long Beach, told NPR the great white’s markings match those of the Internet-famous creature, who first made a splash when she was caught on camera five years ago. The Honolulu Star Advertiser reported Ramsey is trying to rally support for a measure to ban intentional killing of sharks that could be introduced in the state house later this month.